The four seasons, one of Japan’s attractive points, is felt through Tsugaru Vidro’s products. 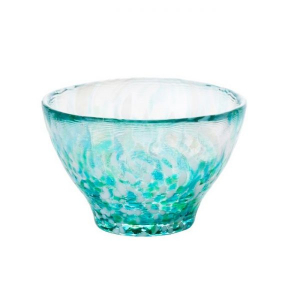 So, can you imagine the Sake sets made using this beautiful glass? 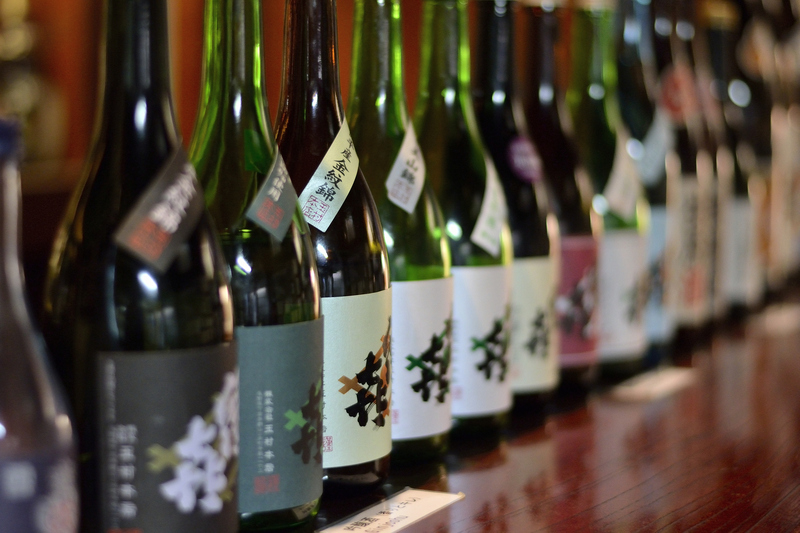 In this post, we will introduce the history as well as our recommendations for Tsugaru Vidro’s Sake sets. 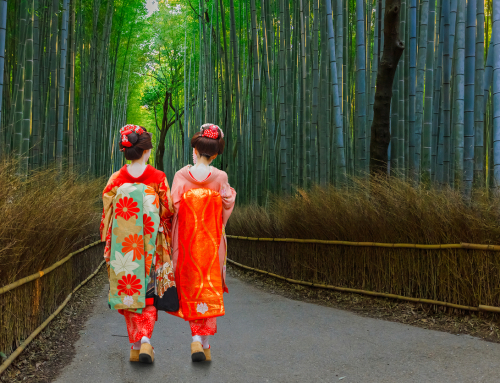 Aomori Prefecture, located in northern Japan, is proud of the traditional art pieces created by Tsugaru Vidro. 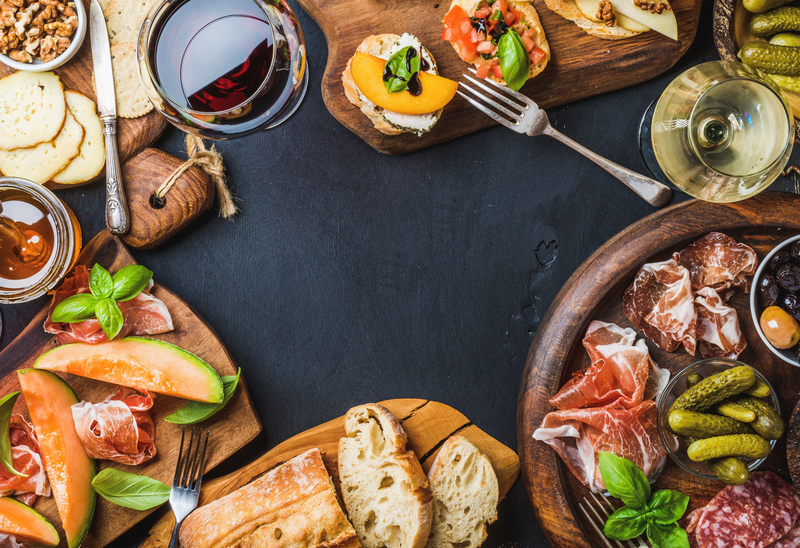 The company’s concept is “creating handmade glass to feel the four seasons.” And befitting the name, colorful glassware reflecting the seasons are created here. What color reflects the four seasons? If you are asked this, what color would you imagine? White for a snowy winter scene, a refreshing blue for the beach in the summer, red and brown for autumn foliage, or pink to reflect Japan’s spring sakura, cherry blossom, flowers? Tsugaru Vidro captures Japan’s seasonal colors in its glassware. 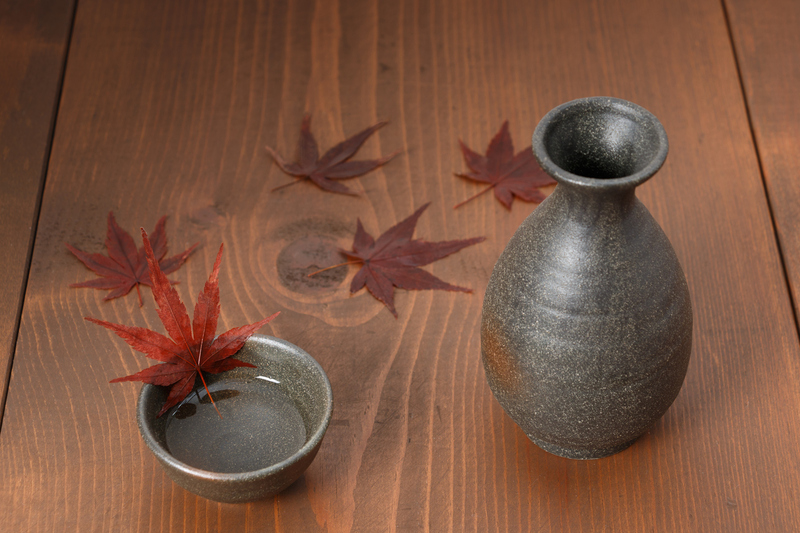 And if these pieces are used as Sake sets, you can feel Japan’s four seasons as you enjoy your Sake. Tsugaru Vidro, operated by Hokuyo-Glass, Co. Ltd, has its workshop located in Aomori City, Aomori Prefecture. The company began operations in 1949, originally by producing glass fishing floats. Nowadays we don’t see glass fishing floats anymore, but in the past, they were necessary items for fishermen. And Tsugaru Vidro’s glass fishing floats had such a high level of craftsmen, they were incomparable to other manufacturers. By continuously making these glass fishing floats, they were able to cultivate their handling of glass (glass blowing) as the basis to create Tsugaru Vidro in 1977. Using not only existing technology, the craftsmen’s hard work and efforts created the beautiful Tsugaru Vidro pieces we all love. Tsugaru Vidro began in a single factory but is now a designated traditional craft of Aomori Prefecture. Creating Tsugaru Vidro: What is Glass Blowing? There are many methods to manufacture glassware, but the method used by Tsugaru Vidro’s technique is known as glassblowing. Taking a molten glass, it is placed on the end of a blowpipe. 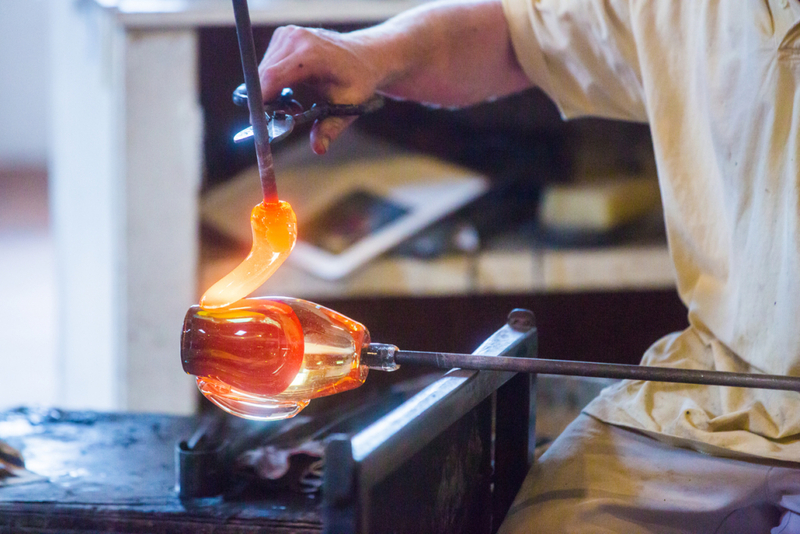 The glassblower will blow into the pipe to shape the molten glass. There may be readers who have watched tv documentaries about glass craftsmen and their work. But let us explain the merits and demerits of glassblowing for those who are not so familiar with glassblowing. The merit of glass blowing is, of course, there is no mold. 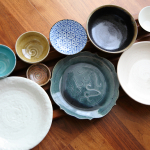 The products are created by using only the strength and instincts of the craftsman. The product is handmade, creating a softness that mass-produced, sharp edging molds cannot create. And an additional plus is each piece is one-of-a-kind, giving it originality. However, there are demerits to glassblowing as well. A big disadvantage is the technique is difficult to learn. 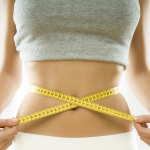 In order to create a beautiful Tsugaru Vidro, many months/years of training is necessary. We have introduced and explained Tsugaru Vidro’s attractiveness and history. Though there are many products, for people who are purchasing their products for the first time, we recommend the Tsugaru Vidro Sake set. 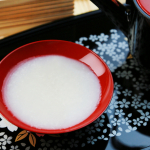 The handmade, soft Tsugaru Vidro is gentle to the lips, which makes it desirable for drinking Japanese sake. 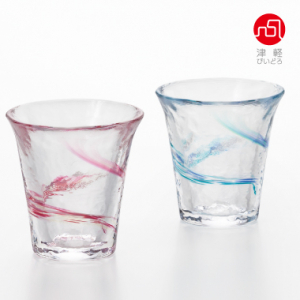 If the Sake is transparent, the Sake will not contradict the colorful Tsugaru Vidro, allowing you to enjoy colors with your Sake. 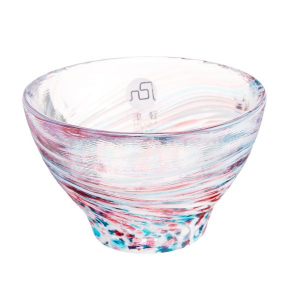 As Tsugaru Vidro pieces are colorful and bring happiness, it is a good item to gift as well. 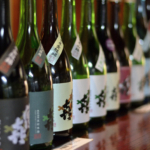 The following are the recommendations of our Tsugaru Vidro Sake sets. This Tsugaru Vidro pair set is the perfect item for married or unmarried couples. With a transparent background, the blue and white, as well as red and white combination, is pleasing to the eye. 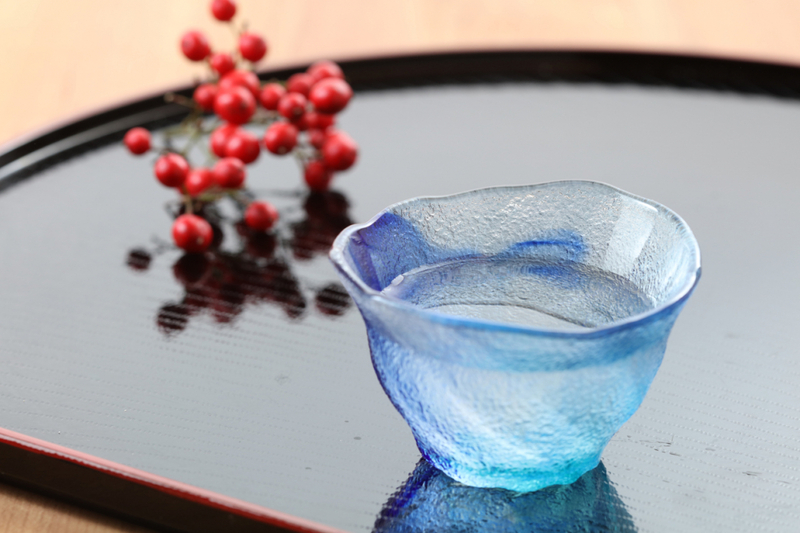 Special to handmade glassware like Tsugaru Vidro, the slight thickness of the glass brings warmth when held in your hand. With the light sparkling through the Sake set beautifully, this is a good present as well. This Sake set ochoko is part of the “Nebuta” series. 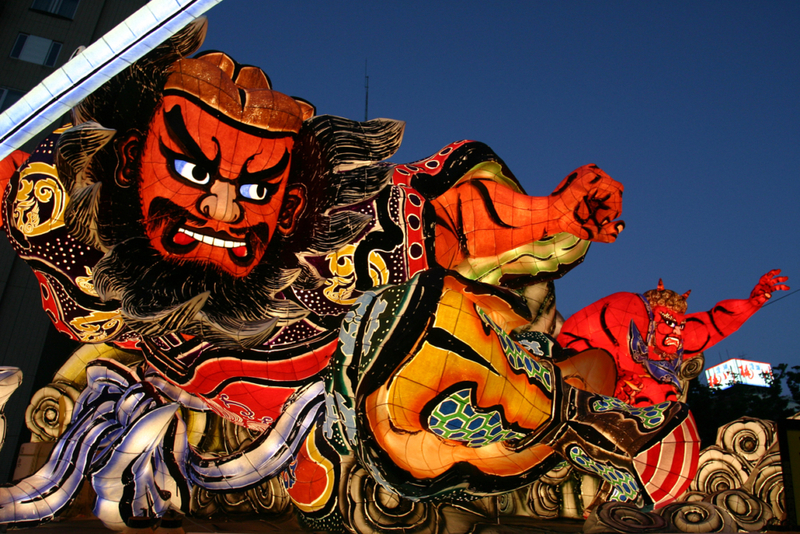 “Nebuta Festival” is a popular festival in Aomori Prefecture. dances on the Sake set ochoko, making us imagine the festival. One of the charming aspects of this Tsugaru Vidro Sake set ochoko is the position of each color is different on each ochoko, making you realize Tsugaru Vidro’s products are truly handmade and original. And knowing this only-one- in-world- ochoko is your own, makes the ochoko more personals. Tsugaru Vidro craftsmen created these “Nebuta” ochokos, for the user to not just enjoy delicious Sake, but drink in the fun spirit of the Nebuta festival as well. 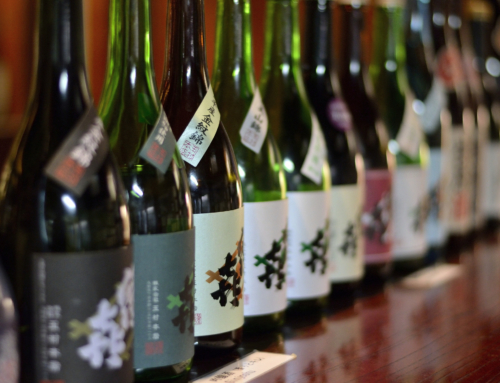 In the Sake sets above, the colors are expressed in dots. 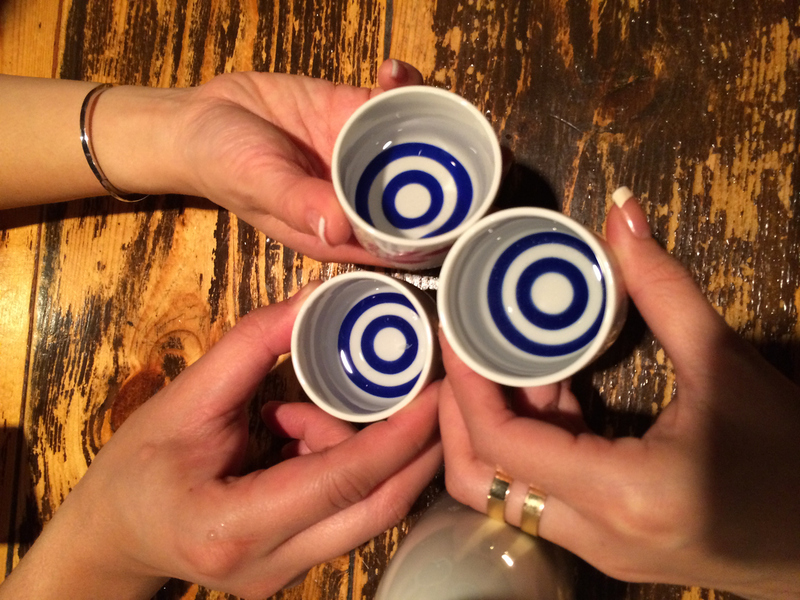 However, there are Sake sets with colored lines as well. The artistic use of these colors lines shows the craftsmen may be examining Japan’s four seasons from the palm of his hands. decorative piece on a mantle, etc., in your home. 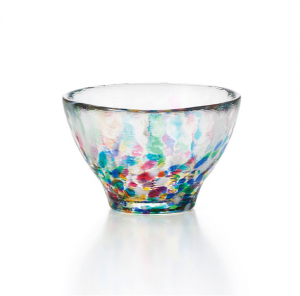 Tsugaru Vidro’s pride, this combination of pale color to create a striking, vivid glassware. The pale blue and green colors make this a refreshing Sake set ochoko. 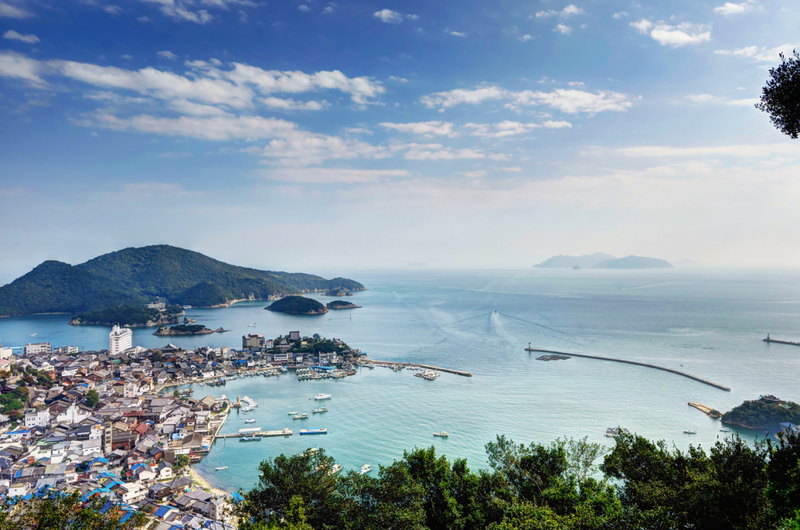 Even with peeks of white, the mellow balance is undisturbed in this beautiful ochoko. 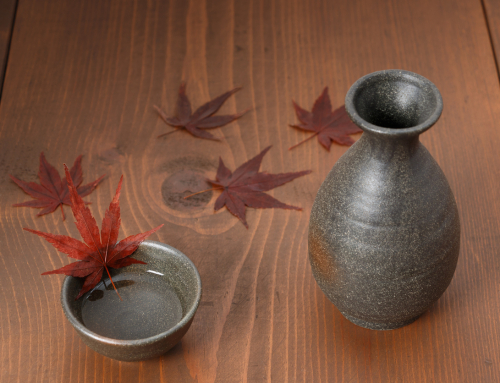 The soft colors allow this Sake set ochoko to be used in many situations. For private Sake drinking use, as well as when you have company, for party Sake drinking as well. 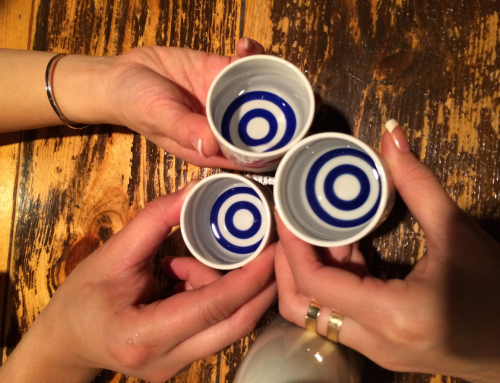 Once you place this Sake set ochoko in your hand, your hand will naturally become accustomed to this Sake set ochoko, giving you a warm feeling. This tall Sake set glass is also our recommendation. 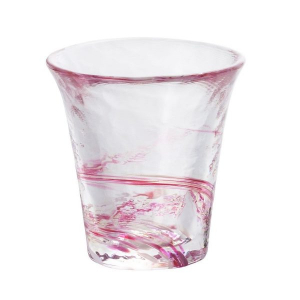 This deep pink streaked Sake set glass brings to image sakura cherry blossom petals scattered flowing in a small river. 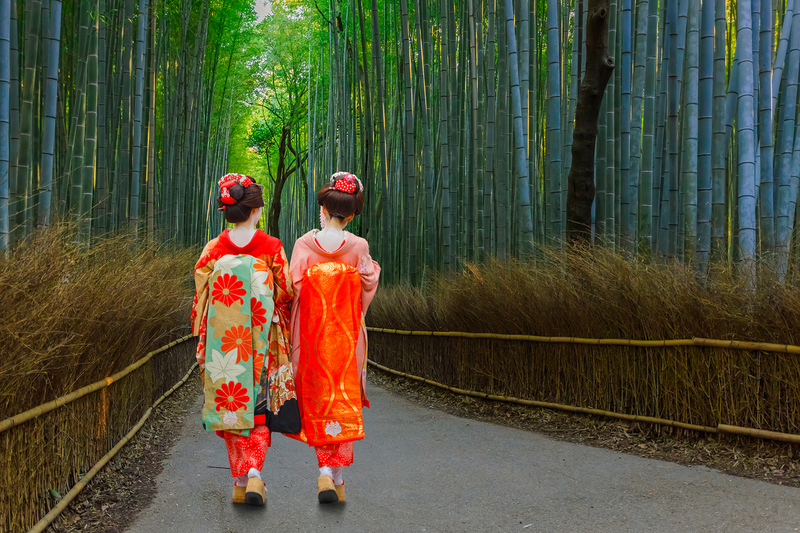 Doesn’t this image just make you feel Japan’s spring? 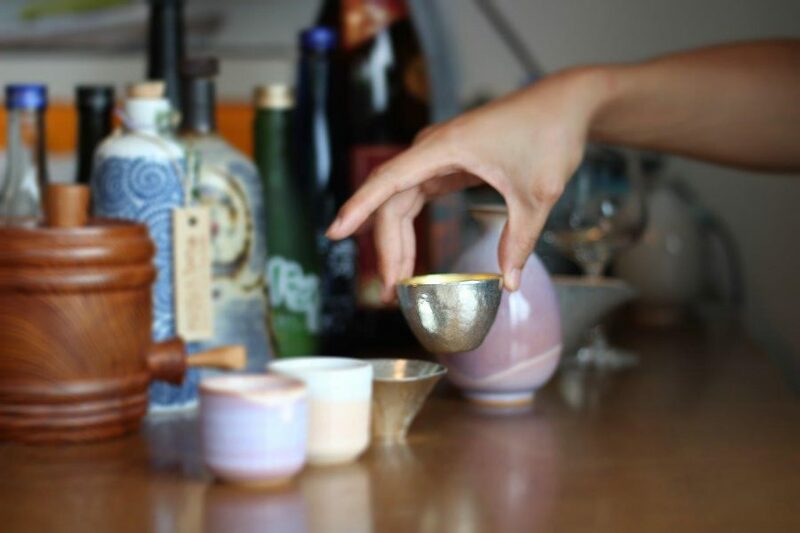 As the glass is tall compared to the Sake set ochoko, the Sake’s aroma will rise to the tall opening, making it the perfect Sake sipping vessel. We recommend using this Sake set glass when enjoying the highly aromatic Ginjoshu Sake. 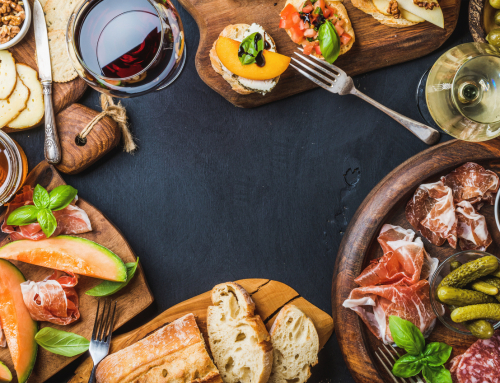 Does French food go well with Japanese sake?